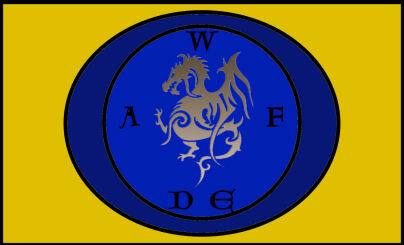 We here at WAFDE are hardly strangers to made-up holidays. After all, many people probably think Falkor’s Festival is just the product of some fevered draconic imagination. Still, among the official U.S. days off, Columbus Day stands out. Celebrating an Italian sailing under the flag of notoriously anti-Semitic Spain who got lost and subsequently opened the doors to the decimation of the indigenous people of the Western Hemisphere is historically disingenuousness at best. 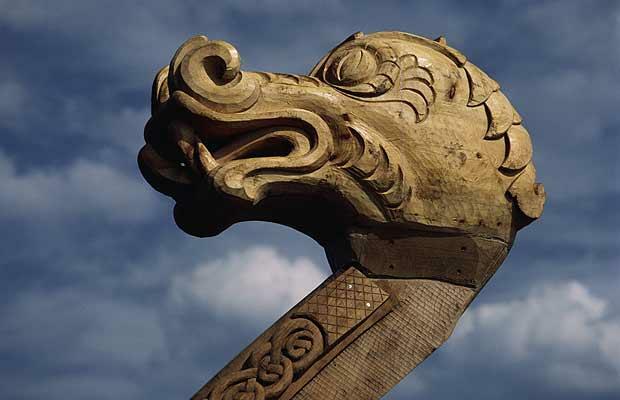 Every Dragon north of the Equator knows that the Vikings came to North America centuries before Columbus’s caravel convoy. Today, we at the Nest want to honor not on the newcomers to the Americas, but those who were already here: the Dragons of the New World. 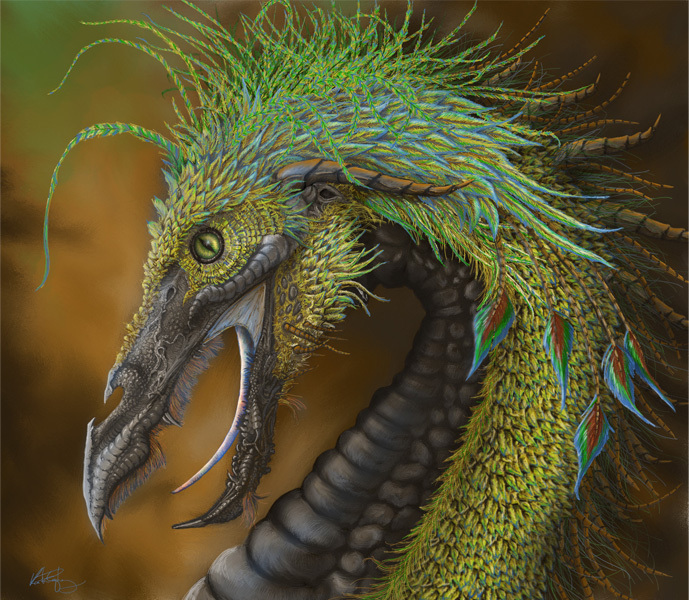 Dragons have inhabited the Western Hemisphere since the continents drifted and Feathered Serpents rose up during the Cretaceous Period. From the shores of Baffin Bay to the tip of Tierra del Fuego – why else would the Spanish call it Land of Fire? – they soared over taiga and mountains, skirting redwoods primeval and kapok branches. They greeted humankind as they trekked across the Bering Land Bridge and beached papyrus vessels on the eastern shores of South America. 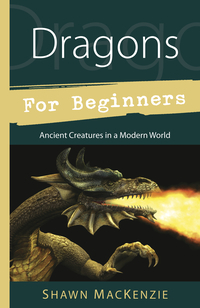 And when the Europeans landed in this New World, they met Dragons both familiar and foreign. 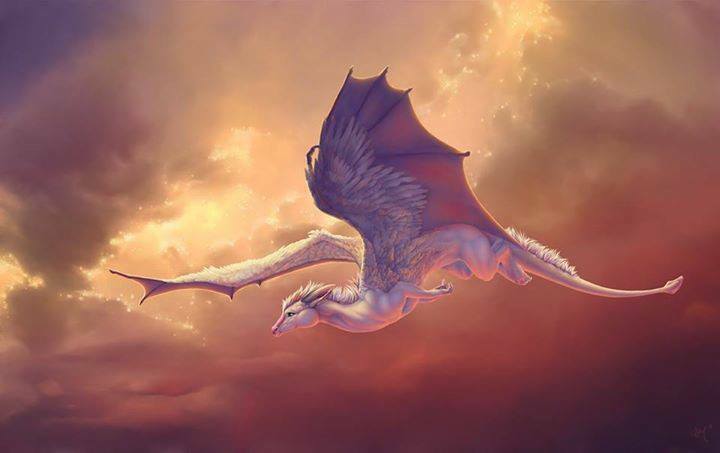 In the north, due in large part to the Trans-Atlantic Transmigration, many Dragons would have fit neatly in among the clouds over the Alhambra or Richard III’s London. But go south of latitude 19° N, and the draconic landscape changed radically. 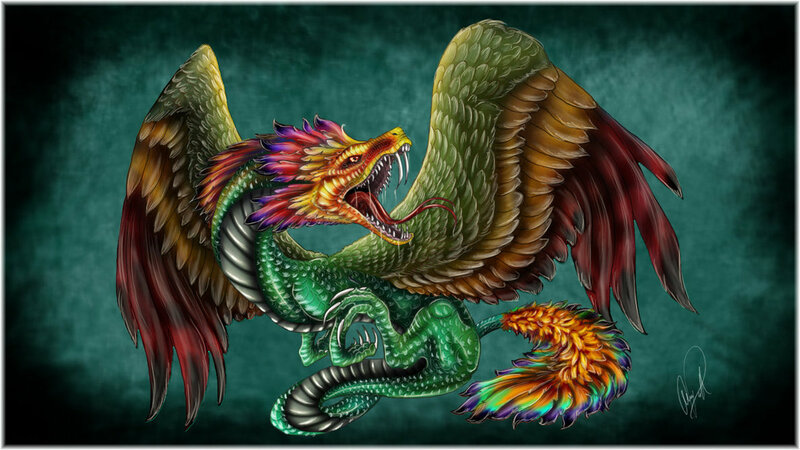 This is the realm of the Feathered Dragons, a k a the children of the Sovereign Plumed Serpent. 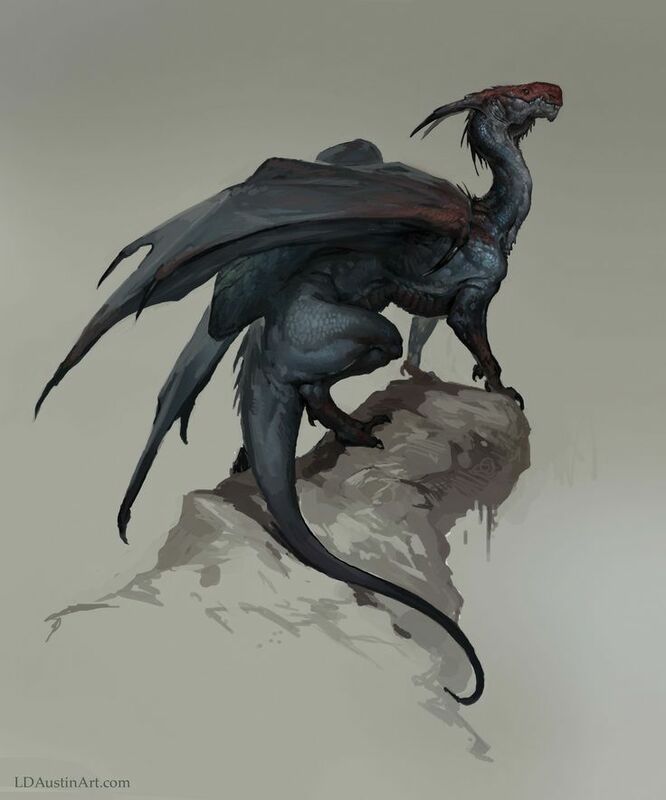 Their form fits their habitat, making them the smallest of the True Dragons, and not wanting to risk burning their wooded homes to the ground, sporting venom rather than fire. 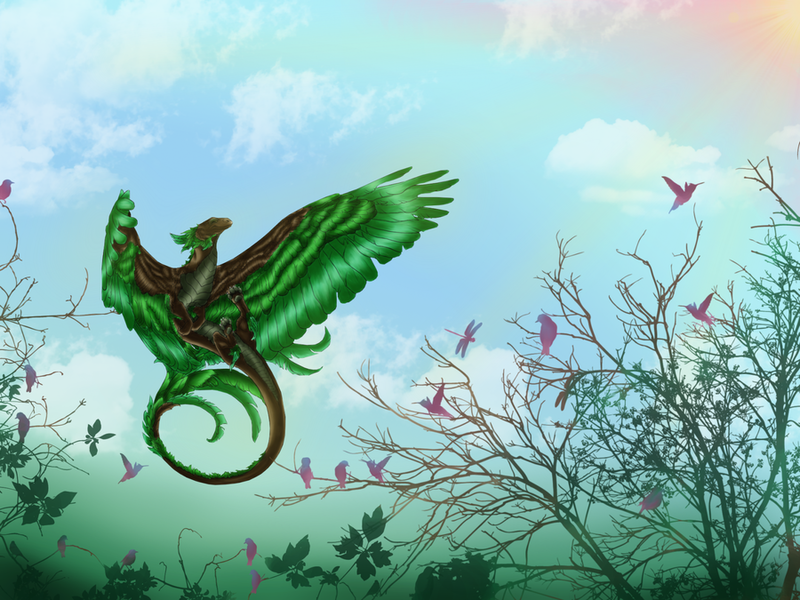 Today, with the rain forests vanishing at a terrifying rate, no one knows how many Feathered Dragons remain in the wild. Indeed, a proper census of the South American weyrs has not been taken since the mid-1900s. 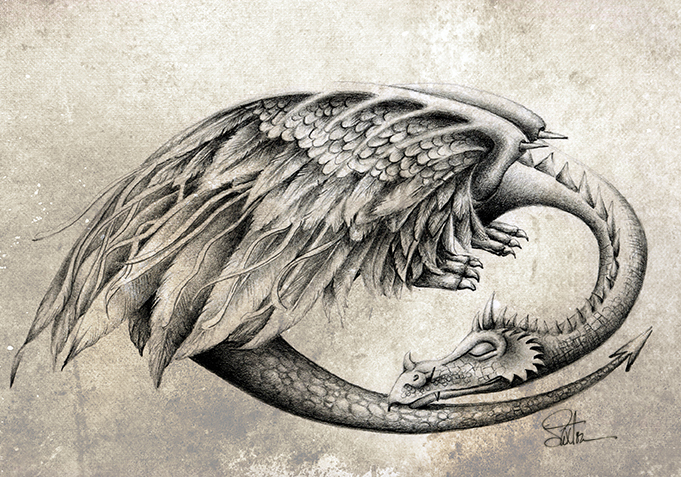 In light of the way other species are disappearing, common sense tells us Feathered Dragons are certainly an endangered. It falls on us to take care of an environment as extraordinary and diverse as its inhabitants. Only then will they thrive – as well as the rest of the planet. 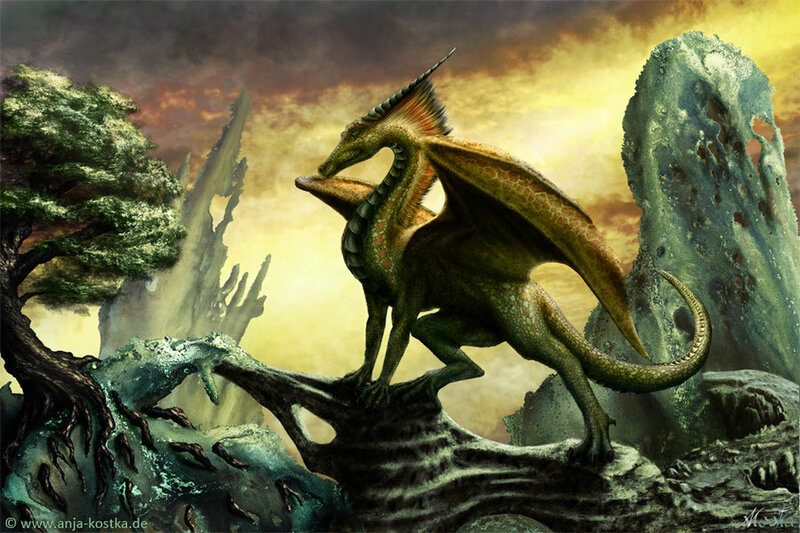 Happy New World Dragon Day! Trans-Atlantic Transmigration: An exodus of a passel of adventurous European Dragons who were fed up with the rampant anti-Dragon sentiments coursing through Britain and the Continent in the Dark Ages. Shortly after the Saxon invasion of the British Isles, they heeded the call to “Go west, young Dragons!” and crossed the Atlantic. In the New World they made their way amongst the enchantments of North America. It seems only fitting around Columbus Day, with its tangled web of myth and history, to offer a tale of New World Dragons. 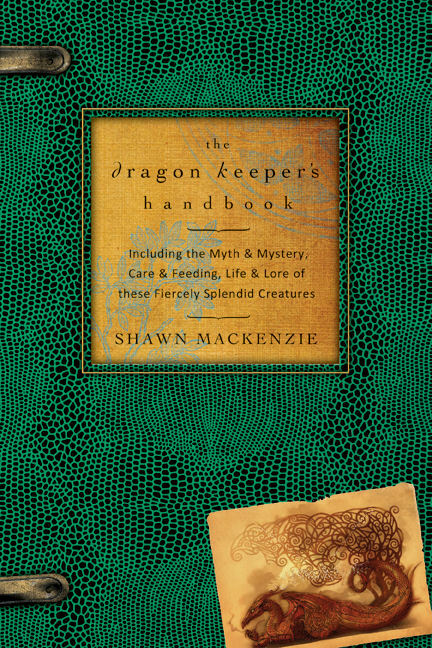 This one was originally published in The Dragon Keeper’s Handbook. 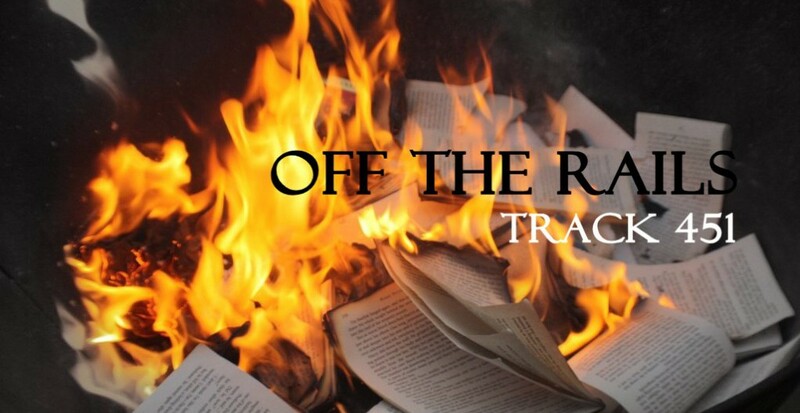 I hope you enjoy…. In the New World, Creation was one of those monumental events happening somewhere between earth and sky with a healthy dose of water thrown into the mix for good measure. What an auspicious environment for Dragons! And yet, among the peoples north of the 30th parallel, they were surprisingly rare participants. There were, of course, familiar players: Bear, Buffalo, Wolf, Raven. Totemic figures, one and all. Even trickster Coyote got his paws dirty in the shaping and populating of the world. But hardly a Dragon in the lot. 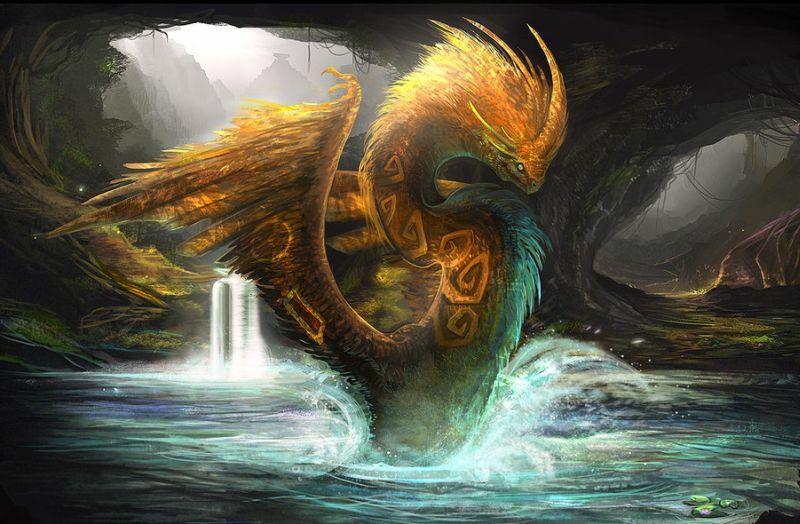 The exception to this rule – and there always is one – is the cosmic Fire Dragon of the Huron and Iroquois. Long ago, during the before-time, in a Universe of water and sky, there was a young woman named Aetaentsic. So beautiful was she that the Sky God, Chief-of-All-the-Earth, desired her to be his and his alone. This was quite an honor, to be sure, but not one without its perils. The Sky God had a fierce temper when riled and a jealous streak a mile wide. And desiring was not the same as having: there were tests and trials first. 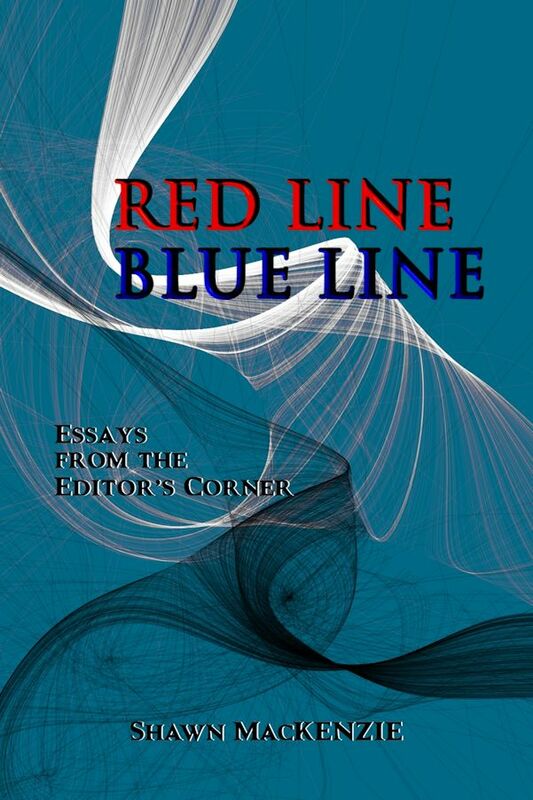 Aetaentsic submitted to them all, proving herself worthy to be a divine wife. For a time they were content, Chief-of-All-the-Earth and his young bride. But the Universe was young and the Sky God often called away to tend this worry or that. 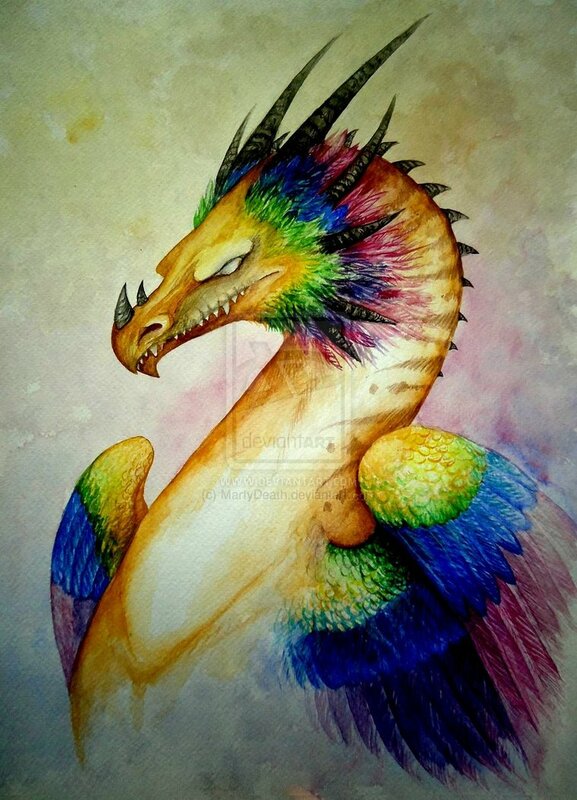 In his absence, Aetaentsic whiled away the hours in the company of the Fire Dragon, a spirited and genial being who lit up the skies like a comet with breath and wing. They were close, though how close only they knew. When, in the fullness of the seasons, Aetaentsic became pregnant, her husband opened his ears to the malicious gossip drifting through the heavens. 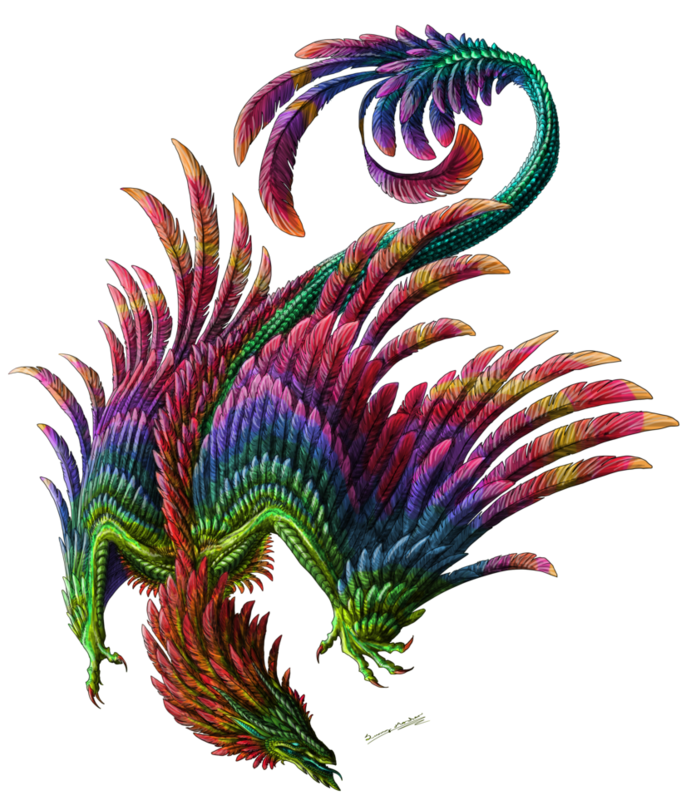 Scandalous chatter filled the air, recounting Fire Dragon‘s visits and the laughter heard in the Sky God‘s longhouse when the god was away. Chief-of-All-the-Earth fumed and fretted, unable to block the slander from his mind. Day after day he fixed green eyes upon his wife as she sat very still, her belly growing, her gaze stretching across the galaxy as if waiting for her scaled companion to return. 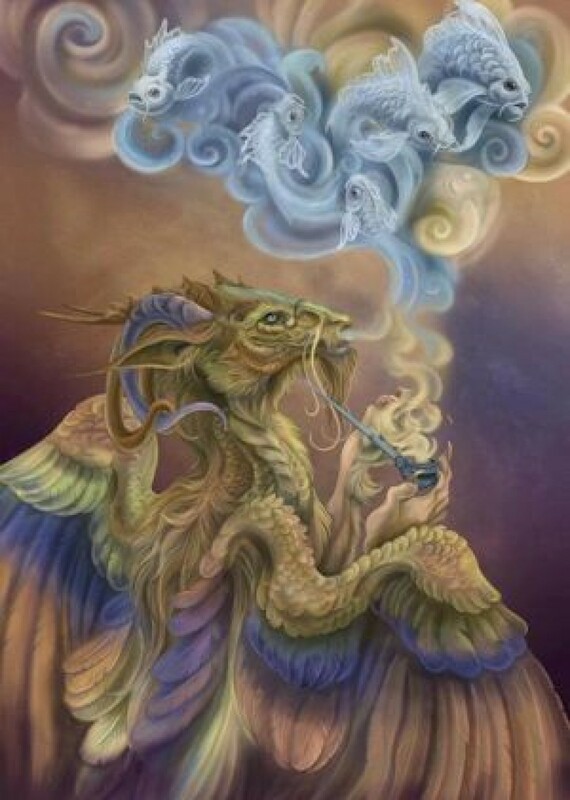 He believed Aetaentsic had been unfaithful and was carrying Fire Dragon‘s children, and nothing she said to the contrary could disabuse him of this conviction. Unable to bear the sight of her any longer, he ripped a hole in the sky and hurled her through it. Down and down Aetaentsic fell, tumbling through the firmament. She was divine; she would continue her descent until someone – or something – stopped her. Two loons saw her plummeting towards them and were dismayed. They rose up, flying close together and caught her on their downy backs, breaking her fall. But she was heavy with child and they could not manage on their own. They sent a call for help out across the water world. Big Turtle heard them and rose to the surface of the Cosmic Sea; the loons gratefully set Aetaentsic on his back. “It is not right for her to live upon my shell,” Turtle said. 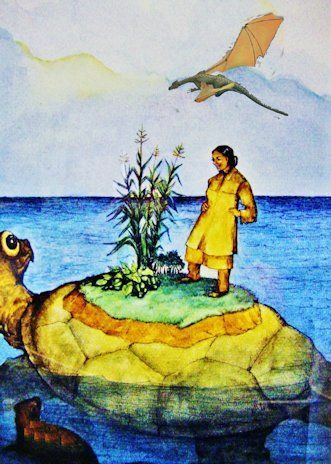 “She needs land to live upon.” One by one the animals dove beneath the waters, looking for earth. Some died, all failed. Finally, lowly Toad returned, half-dead but with a tiny bit of mud in his mouth. From that little bit of mud, Aetaentsic formed the World. With land beneath her feet, she gave birth to the twins she carried. One good, Tijus-kaha; one bad, Tawis-karong. 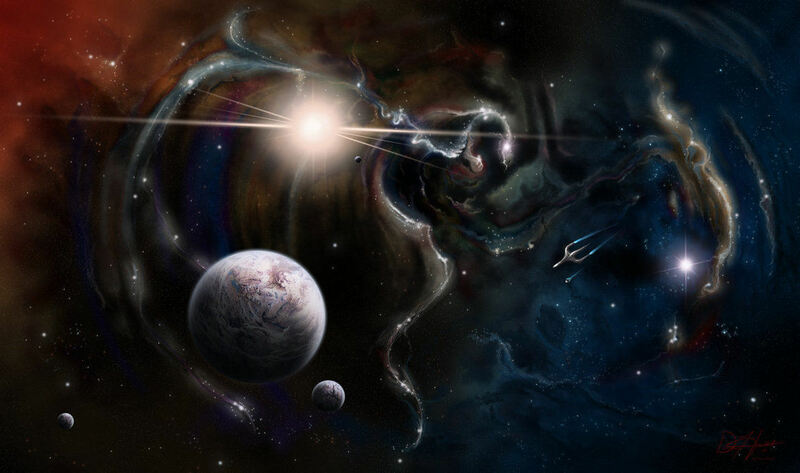 Again, this was a case of life out of death, for Aetaentsic‘s evil son refused to come into the world the normal way. Instead, in a decidedly Alien moment, he broke forth from her side and killed her. All was not in vain: out of her body came all the plants of the Earth, maize and gourds, herbs and trees. She enriched the Earth that her sons might prepare it for the humans who were to come. But that is another story. Did Fire Dragon sire Aetaentsic‘s children as Chief-of-All-the-Earth feared? 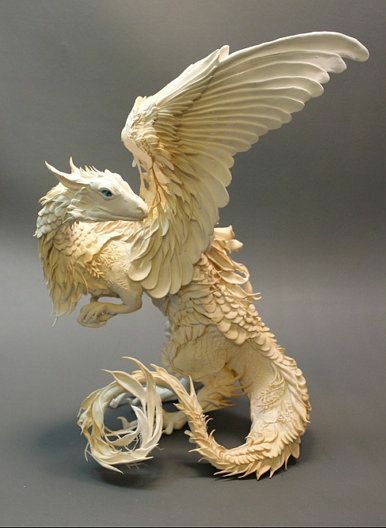 Is there noble Dragon blood coursing through the veins of the World makers? It is quite possible. 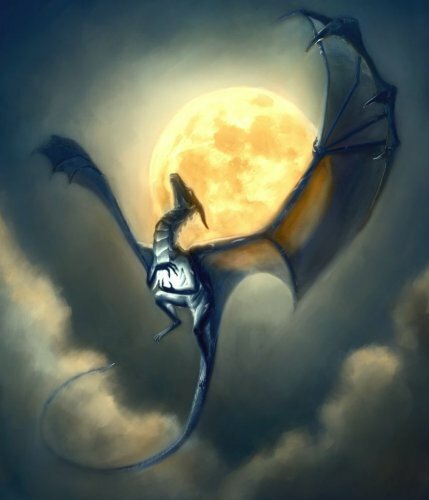 In a Cosmic heartbeat, the Dragon went from attentive intimate to fair-weather friend, an act indicative of a guilty conscience and/or dread at what the Sky God might do to him. A further clue as to the twins‘ paternity can be found in a variation on the tale in which the good twin is known as Se’ sta or Man of Fire.